Item # 312769 Stash Points: 6,495 (?) This is the number of points you get in The Zumiez Stash for purchasing this item. Stash points are redeemable for exclusive rewards only available to Zumiez Stash members. To redeem your points check out the rewards catalog on thestash.zumiez.com. 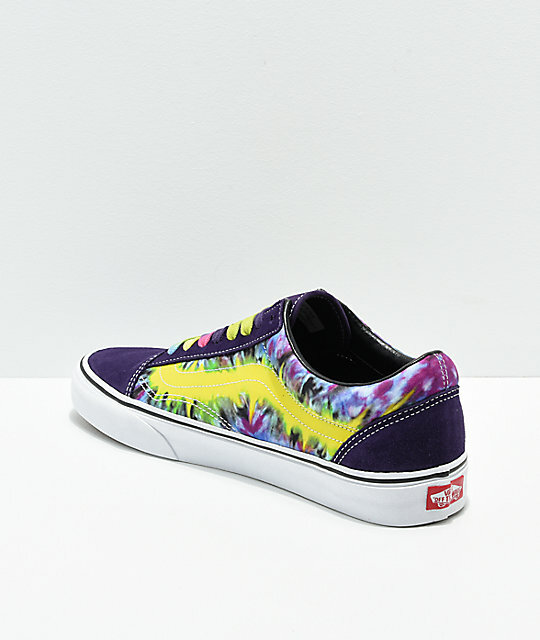 Get a classic shoe reimagined in a vibrant color scheme, with the Vans Old Skool Misterio Tie Dye Skate Shoes. 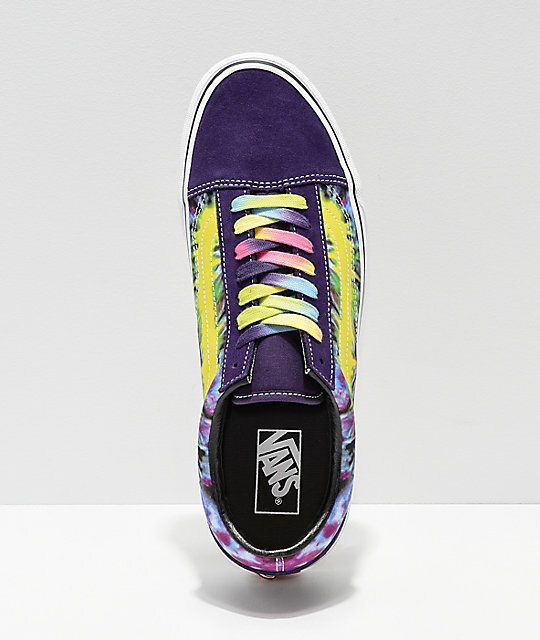 Featuring multicolor tie dye side walls with matching shoe laces and additional tie dye logo detailing, these shoes are about as colorful as it gets. Complete with a vulcanized insole for skate performance and a heavily padded insole for impact support and comfort, these shoes will be your new go-to statement piece from the skate park to the dog park and beyond. 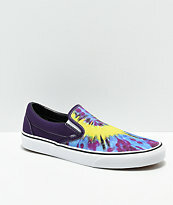 Old Skool Misterio Tie Dye Skate Shoes from Vans. Multicolor tie dye pattern throughout sidewalls. Solid purple suede toe and heel cap. 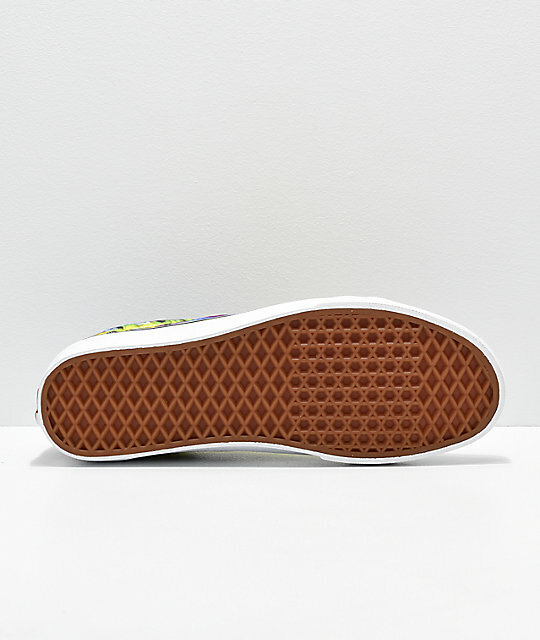 Vans padded insole for impact support.